Hibs have taken former Sweden Under-21 goalkeeper Marcus Sandberg on trial for a week. 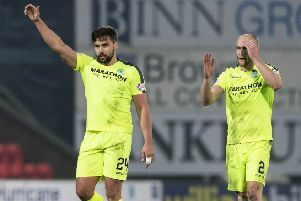 Sandberg, who currently plays for IFK Gothenburg in the Swedish Allsvenskan, has joined up with the Easter Road club, allowing head coach Alan Stubbs to run the rule over him. Sandberg, 24, has played three times for Sweden’s Under-21 side. He is usually the No.2 goalkeeper at the Gothenburg outfit behind John Alvbage, but he has played 16 times for the club in 2014. Hibs’ current No.1 is Mark Oxley, but the Englishman is on loan from Hull City and his deal runs out in January.